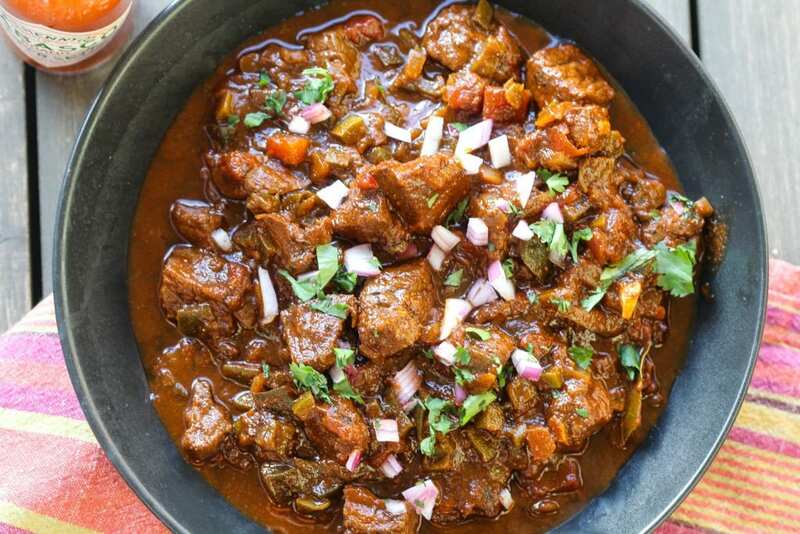 Tender chunks of beef enveloped in a deep, spicy and smoky sauce with absolutely NO BEANS for the most comforting of comforting chili! I’m a Texan through and through, so when I started cooking, two of the first things I learned to master were the low and slow art of smoked brisket and chili. Follow my tips and steps for a nice pot of “Texas Red” and I promise you will elevate your chili game making hearty, flavorful, and comforting chili. What Makes This a Texas Chili? A few ground rules first and foremost; no matter what era you are from or are living in, Texas chili means no frickin beans. There is nothing worse than seeing a post for “Texas style” chili and noticing the recipe calls for beans. It’s like finding out the Humpty Hump and Shock G were the same person or that Milli Vanilli were lap syncers. Once beans enter the picture the dish becomes bean + something else, as in beans with ground beef or beans with stewed vegetables. Well not quite the same since Milli Vanilli were wack regardless, but you get more point, no fricking beans. Real Texas chili is also beef. Nothing against pork, chicken, or squash, but in Texas we all about that beef. Please whatever you do don’t ever serve any self respecting Texas chili with beans and no beef. That’s just down right offensive. Leave out the beans, and for that matter skimp on all vegetables to make more room for beef. Gravy, beef, and chilis is all you need. Season and season often. It’s not how much you add but when and how. Season as you saute the garlic and onions, season as you cook down the beer, season as you gently simmer the chili. This approach ensures full flavored and balanced chili. Taste as you go and adjust seasoning as necessary. Brown the beef first! This is the first order of cooking as it intensifies flavor and adds to the texture. 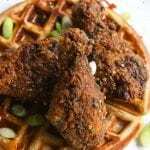 Give your dish some heat from multiple ingredients other than chili powder. Use a combination of ground, dried, and fresh chilis. This approach yields flavor, aroma, color, and texture. Fresh chilis like jalapeños or poblanos will add freshness and brightness, fresh spiciness, while the chipotles in adobo sauce give the chili that smokiness. Similarly the dried chili paste add complexity and depth of flavor. Use a dark beer to deglaze the pan and add more flavor complexity. Simmer the chili for at least an hour and half. This will allow the beef to become tender and allows all the flavor contributors to meld. Add some acidity from a slice of lime or cider vinegar at the end of cooking. This will open the chili up and release much of the flavor. If you can swing it, make the chili a day early and let the dish marinate overnight. The chili will be that much better for it. Choose the right cut of beef. Most recipes call for ground beef, which I love, but this recipe is more about chunks of tender beef. For this chuck roast is the beef of choice. Avoid anything that is labeled “Stew meat” or similar lean cuts as they will likely never get tender. It’s okay to remove any large flaps of fat, but don’t skew so far. The key is just to give it enough time for the beef to slowly cook to tenderness. 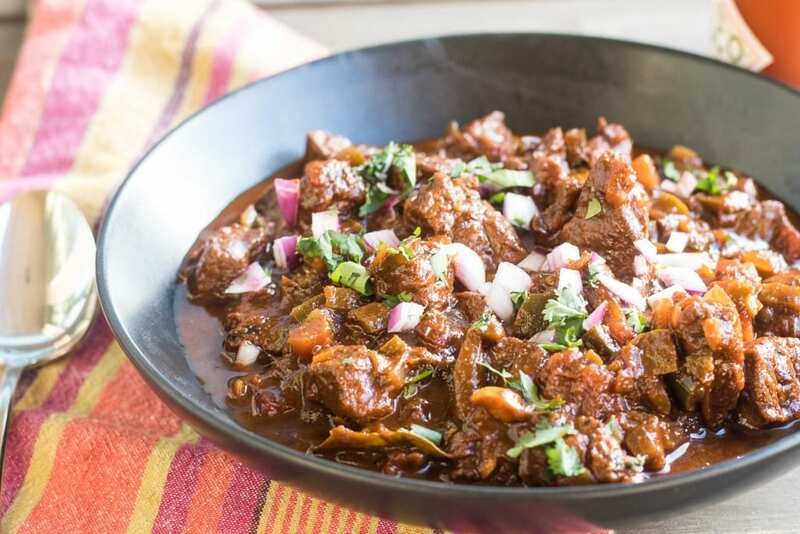 Make this authentic Texas beef chili recipe today! If you make it, please come back and leave me a comment below with your feedback. Definitely take a photo of the dish and be sure to tag #foodfidelity so that I can see them. For other bold beef based recipes try this Coffee Rubbed Hanger Steak or Smoked Jerk Beef Oxtails. Heat a large, dry skillet over high heat and toast dried chilis in batches, until browned in spots but not burned, 30 to 45 seconds per side. Mix all the dried spices in a bowl and set aside. Cut dried chilis in half lengthwise; remove stems and seeds. Place the dried chiles in a large heatproof bowl. Pour very hot water over the chiles until submerged and let soak for 45 minutes, placing a plate on top of chiles to keep them submerged. Peel garlic cloves and place cloves in blender. Add all the soaked chiles, plus the adobo sauce from the can of chilis, along with a cup of the soaking liquid. Purée until smooth. Strain the purée through a fine-mesh sieve into a large bowl, using a rubber spatula to press the purée through. Set puree aside. In a large Dutch oven over medium-high heat add vegetable oil. Season the beef with salt and pepper and lightly brown the meat. Be sure not to crowd the pot, cooking in batches if necessary. 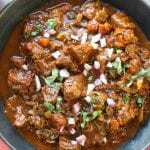 Transfer browned beef to a bowl. Lower the heat to medium and add more oil if necessary. Saute the onions for 3 minutes stirring occasionally. Add the fresh peppers and about a 1/4 of the spice mix cooking for 2 minutes. Increase the heat to medium high and add the beer reducing the liquid by half. Reduce the heat, add the chili puree and bring to a simmer. Cook, stirring as necessary, about 15 minutes. Add 1/2 the remaining spice mixture, the broth, oregano, bay leaf, and the beef. Bring to a boil, reduce to a simmer, and cook, uncovered, until meat is tender and broth is thickened, about 2-3 hours. Add the chocolate last 15 minutes of cooking. Add the vinegar before serving. Add more seasoning if necessary. Allow the chili to sit at least an hour and up to overnight to allow the flavors to meld. Serve with your preferred toppings. How many oz of dark chocolate do you use?